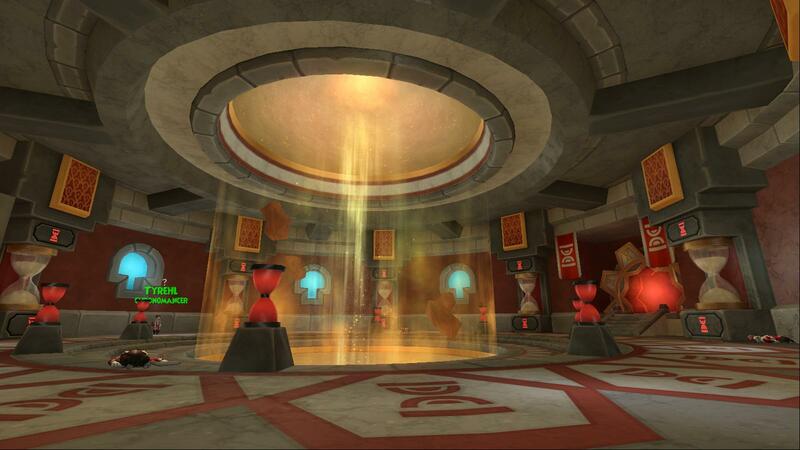 Mirage, Wizard101’s newest world, made its way to the test realm earlier this week. With it came a new level cap, new spells, legendary weapons, faction vendors, castle magic, pip conversion, and more. You can read the official test realm update notes here. 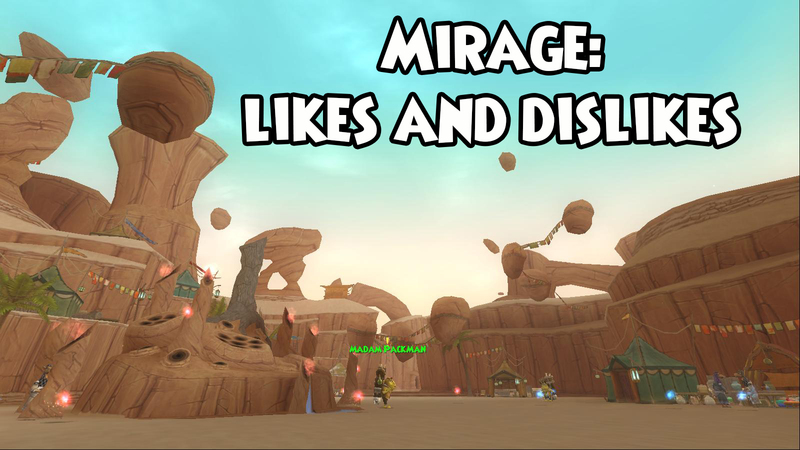 Over the past few days, I’ve been questing Mirage to see what it’s all about. 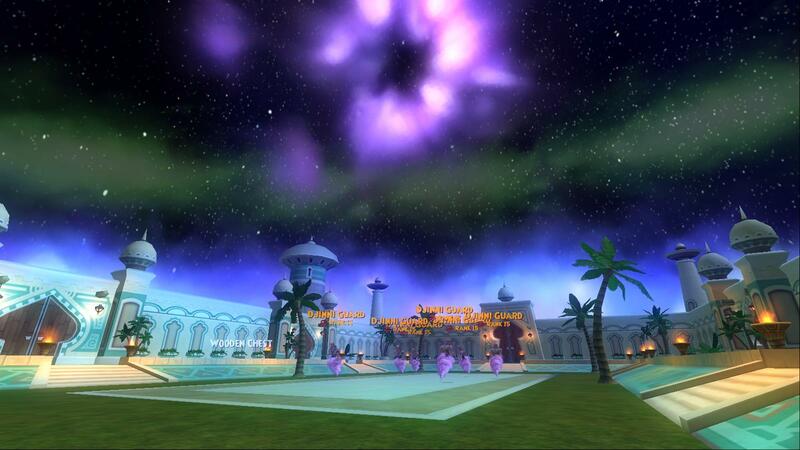 I finally completed the world (well, almost … the final battle isn’t on test realm yet) Friday evening. In total it took me and my questing partner about 10-11 hours to finish the entire thing. Compared to the 4 -5 hours it took to complete Polaris, Mirage certainly has a lot more content. Although I really wanted to fall in love with this world, I can’t say that I have. Believe me, Mirage has a lot of GREAT things going for it, but it also has elements that I’m not a fan of. It’s stunning. 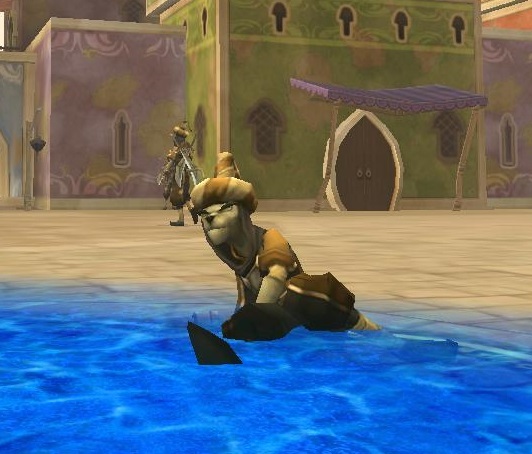 KingsIsle has come a long way since Wizard City, and it shows. Mirage is absolutely breathtaking. The amount of detail incorporated into the various zones is amazing and helps the world pop. Very little re-texturing. 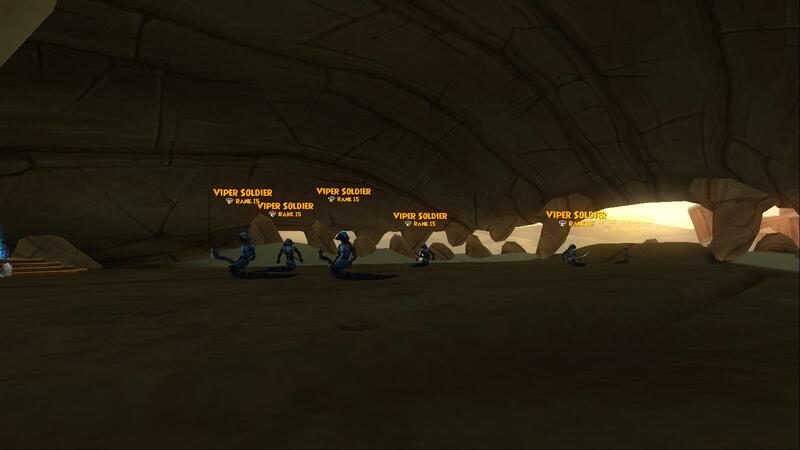 Usually new worlds have some enemies that we’ve encountered before in previous areas, but not Mirage. For the most part, everything is completely new and refreshing. Music. A++ on the music. I think it really fits the world and is a joy to listen to. Cinematics. Mirage is built with the player in mind. The angles and interactive aspects prove that. For example, that flying carpet chase? Probably my favorite part of the world! The grinding. For a world coming right after Polaris, I was surprised by just how much KI forced us to defeat mobs. Let me clarify though, this is a different type of grinding than say Celestia or Zafaria. Mirage’s defeat and collect quests can usually be completed after 1-2 battles, but there are a TON of them. I lost count how many times we had to beat up mobs to find out information or just rough ’em up a bit. It got tiring and very repetitive. So although you aren’t defeating the same mobs over and over again to get a specific item, it comes out about the same when you’re fighting 5-6 different mobs for different items. Close to no single bosses. I don’t mind towers or dungeons, but Mirage felt a bit overkill. After fighting 3-4 different mob battles outside, the last thing I wanted to do was enter a tower or dungeon, fight 2 more sets of mobs, and then finally the boss. A more balanced mixture of everything would have made me much happier. The Scorpion fight was underwhelming. Granted, I don’t know if we’ll see him again, but the one encounter we do have with The Scorpion seemed flat to me. I wish he had more cheats that made the battle more memorable. I got really excited when I saw his huge army, but the battle didn’t live up to my expectations. I’m torn on the difficulty because I can see it both ways. On one hand, I thought the challenge was something we haven’t seen in awhile and I enjoyed it. On the other hand, I was questing in a 3-person team so all the damage taken was balanced among us. With a few 4v1 fights, a steep increase in mob health and difficulty, and close to no single bosses, I’m afraid that solo-ers would be suffering through this world. Not everyone is able to play in a team and I don’t want KingsIsle to alienate their solo players. One thing is for certain, Mirage (as it stands now) is definitely not for a casual player. I’m not sure if it’s just me, but in my opinion, the difference between the first half and second half of Mirage is night and day. The first half of Mirage reminded me a lot of Azteca. The second half however, gave me more of a Polaris vibe. I don’t know if that was intentional or came as a result of the layoffs in May, but I found the differences very noticeable. Regardless, I thought the second half of Mirage was much more fun. While the first half kept us in the same areas for long periods of time, the second half picked up the pace and we got to travel to interesting zones one right after the other. In addition, because of the slow XP at the beginning, I didn’t feel like I was making a lot of progress initially. The second half gave me more of a drive to continue since I felt like I was actually doing something productive. Overall, Mirage is not my favorite world, but it’s not my least favorite world either. I personally would have loved to see a more Polaris-like approach (minimal mobs, heavy storytelling, and lots of fun elements) that was extended by just a few more areas so it was a little longer than Polaris. What do you guys think of Mirage? Let me know in the comments below!